PST-4 newels are typically installed at the inside corner of a quarter landing where the staircase turns 90 degrees. These posts can be produced in a selection of high-quality timbers that are kiln dried and then brushed or hand-sanded to a smooth finish so they are ready to be fully finished on site. 90 x 90 x 710mm, 415mm Head. 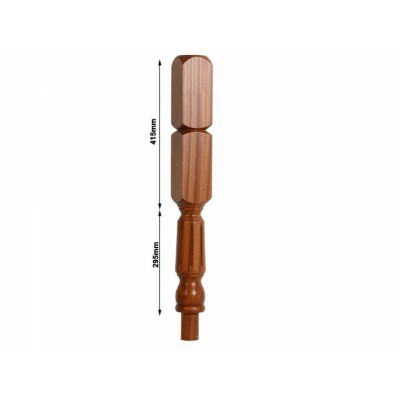 The Oxford range provides an aesthetically pleasing turned detail in a full range of newel posts and spindles, the fluting adds texture.